The curtain will rise on what promises to be an exciting 2014 52 Super Series season on Monday 20th January when six 52s lines up on the famous race waters of Key West, Florida for the first regatta of the two events which form the US 52 Super Series. Two European TP52s return to Quantum Key West Racing Week, the Yacht Club Costa Smeralda flagged Azzurra and Niklas and Catherine Zennström’s world champions, Rán Racing. The 2012 overall 52 SUPER SERIES champions Azzurra which narrowly won Key West least season see the return of talismanic Italian strategist Francesco Bruni. Rán Racing will sail with past 470 world champion Nic Asher as strategist and have Steve Hayles – who took a sabbatical from the Rán 52 programme last year – back in the navigator’s hot seat.In Key West there will be two new teams which will be sailing at their first ever 52 Super Series event. Japanese owner-skipper Takashi Okura has acquired the former Rio/Synergy, now named Sled. They field a strong team including tactician Ross Macdonald and a number of key international names such as past Med Cup winners, New Zealanders Grant Loretz and Tony Rae and Volvo Ocean Race winning bowman Brad Marsh. Reaching the start line in competitive shape will mark the successful end of a race against time for the crew of Hooligan. The yacht which is the former double Med Cup winning Emirates Team New Zealand only arrived from Australia last week and has had a full team in preparing her for new owner Gunther Buerman. Owner Buerman cut his teeth in J24’s and had a string of IOR boats called Total Eclipse. Rey comments: “The boat has a great pedigree, we started off looking for the best boat we could find. It is a very good upwind boat and had great success in the Med Cup and since. But we are under no illusions. One of the things that stands out from sailing with Provezza is the level of preparation that some of the teams put in and so we come in with three days practice. "So that will be tough but we are out to make a nuisance of ourselves, to try and be up there. We have some familiar faces with us, like Nacho Postigo as navigator, Marco Constance on mainsheet and Robbie Haines trimming, but we also have a core of family and friends so it should be fun, with a nice mix. 2013 52 Super Series champions Quantum Racing have a line up which is very similar to their winning complement. Owner Doug DeVos will steer. Most of the established boats have made very few configuration changes through the winter, although with the reduction in class crew weight to 1130kgs or 1200kgs in IRC trim most will be sailing with one less crew. Azzurra, the winners last year, are using the same strategy as worked for them in 2013 when a week of pre-Christmas training in Miami meant they started Key West all race ready and highly motivated. Six days on the water not only allowed their 2012 52 Super Series champions the chance to polish their crew work and improve their speed, but they have trialled Azzurra in the new configuration for the European season. “We are going to Key West to win and have given ourselves the best chance to do so with our training in Miami. We are all prepared with everything ready to win.” Says skipper Guillermo Parada. “He brings support more than anything. It gives Vasco the flow of information to make quick decisions and that really enhances Vasco’s confidence.” Parada concludes. 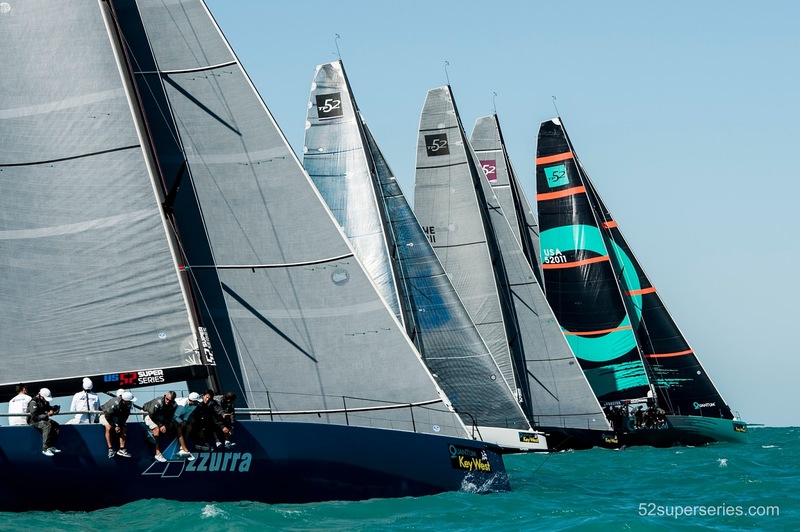 The Azzurra crew also took four days in Miami to help initial training for the crew of the new Brazilian team Phoenix who will launch their new TP52 in March. 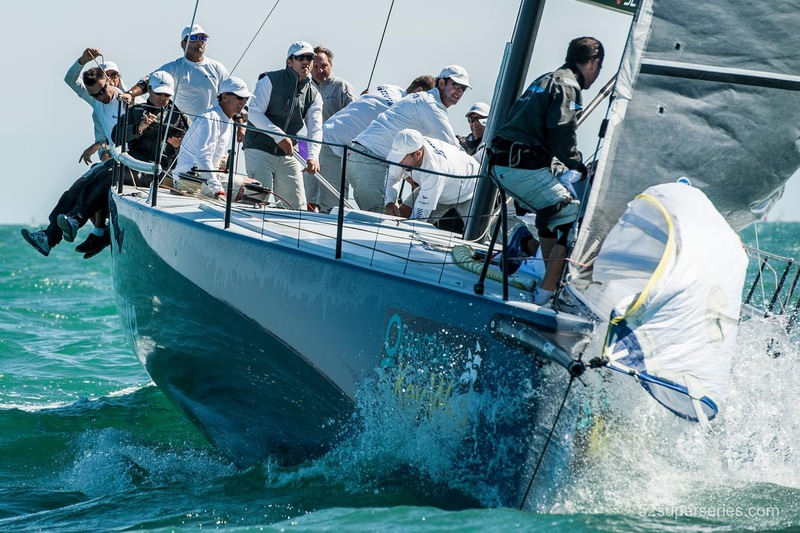 Racing for the 52 US Super Series at Quantum Key West runs Monday through Friday.